With those three words, spoken by Richard Madden in the final episode of Bodyguard, writer Jed Mercurio was letting London's pedants into a little secret: I'm trolling you. In the minutes leading up to this utterance, Twitter was ablaze with the way the programme was showing complete disdain for London's geography — something us Londoners get VERY het up about. Having appeared under the British Red Cross building on Moor Place, round the back of Moorgate station (filmed on a Sunday if the lack of traffic is anything to go by), DS David Budd (Madden) approaches a member of public outside the City Point building. So far, so accurate, if you overlook Ropemaker Street being given the fictional name Saltmarsh Street. But it falls apart when the police arrive and he's walked to a square around the corner. The filming location for the fictional Pope Square is actually Gordon Square in Bloomsbury, a couple of miles away, yet he's there within seconds. 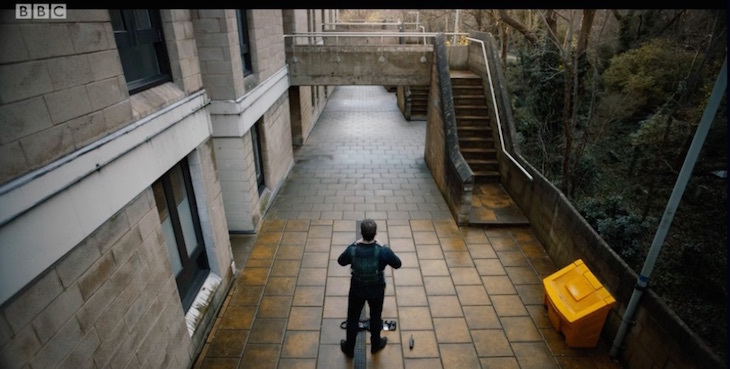 After a lengthy stand-off, Budd takes the decision to walk to his flat — shown, although not named, in previous episodes as Camden's Whittington Estate — to prove his innocence. It's at this point, he warns the surrounding police of the "long walk ahead". We've got a feeling Mercurio, or someone at the Beeb, knew Londoners would get irate at the decimation of their city, and threw in this little nod to them. Well played. Which other London locations were used in the Bodyguard? The inimitable colourful flaps of the Mizumo Bank building on Old Bailey, near St Paul's can be seen in the episode two scene in which Home Secretary Julia Montague's car comes under gunfire. 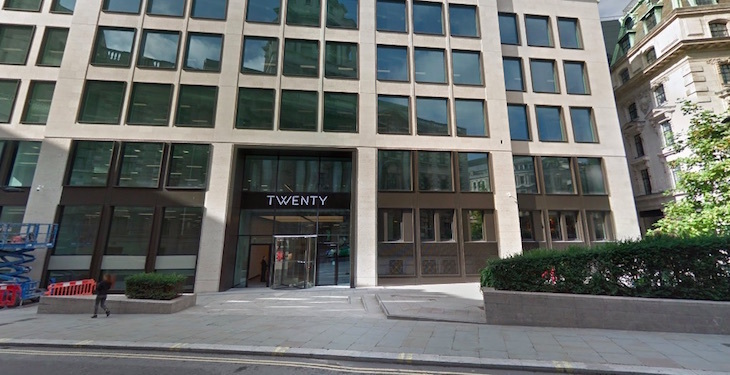 Pascoe House, the building from which the sniper shoots, is 20 Old Bailey, its exterior tweaked with a bit of CGI. After the Thornton Circus sniper attack, Montague (Keeley Hawes) is moved to a hotel for safety. The exterior of the fictional Blackwood Hotel is the South Place Hotel near Liverpool Street. We suspect the exterior shots of Downing Street were partially filmed outside 10 Adam Street, London's 'fake Downing Street' which often stands in for the premier's abode in on-screen scenes and tourist photos. This one caught our eye as it's close to Londonist Towers — we've spent many a lunchtime queuing at the falafel stall that pops up in Leonard Circus, the top of Leonard Street which hosted a couple of high-speed police car scenes in the final episode.